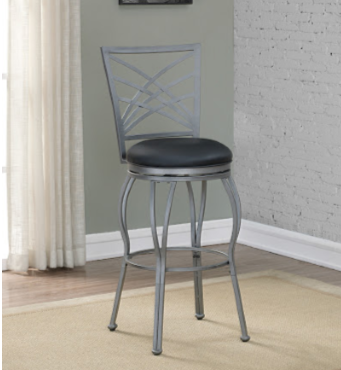 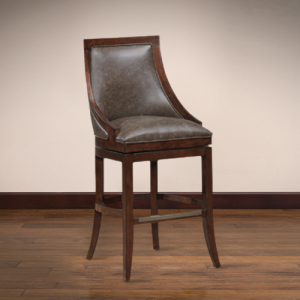 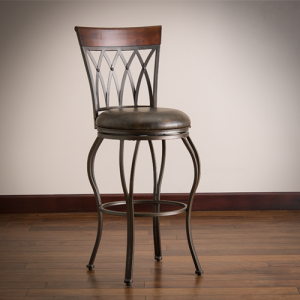 Finished in flint with a comfortable black vinyl cushion, this metal stool features adjustable leg levelers and a full-bearing 360 degree swivel. 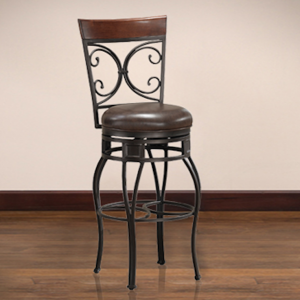 Consumer assembly is required and the stool comes complete with a 1 year warranty. 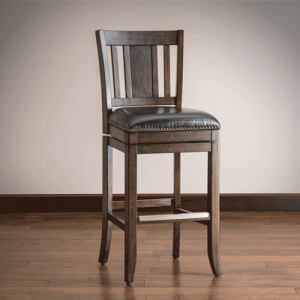 41″ / 45″ H x 17.25″ W x 19.25″ D – 25 lbs.